air of innocence has a very modern appeal. be used for decorating your dining tables or your coffee tables. 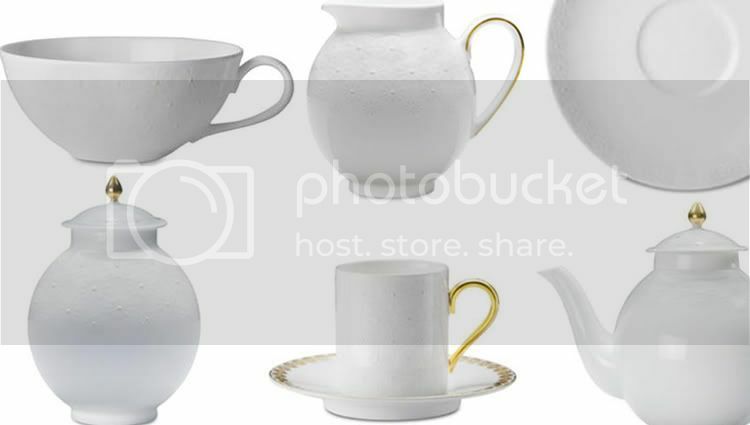 Daisy Blanc, is sure to add a touch of high fashion to your tabletop. 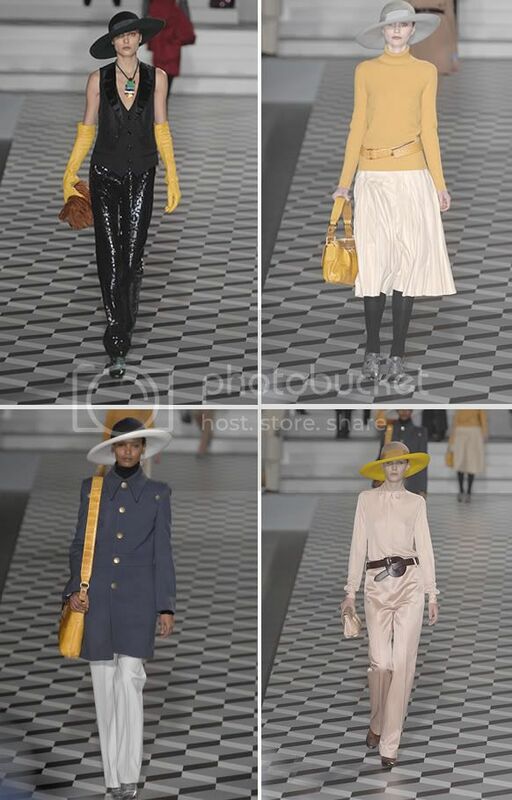 trend, yellow. It is a color that looks good on the table any season. Clear, buttery shades make it perfect for a spring or summer table. Mustard, gold and saffron can warm up your table in the fall. for a post soon on how to incorporate both colors on the table. You may have been only 26 yrs.old, but you made a classic selection. 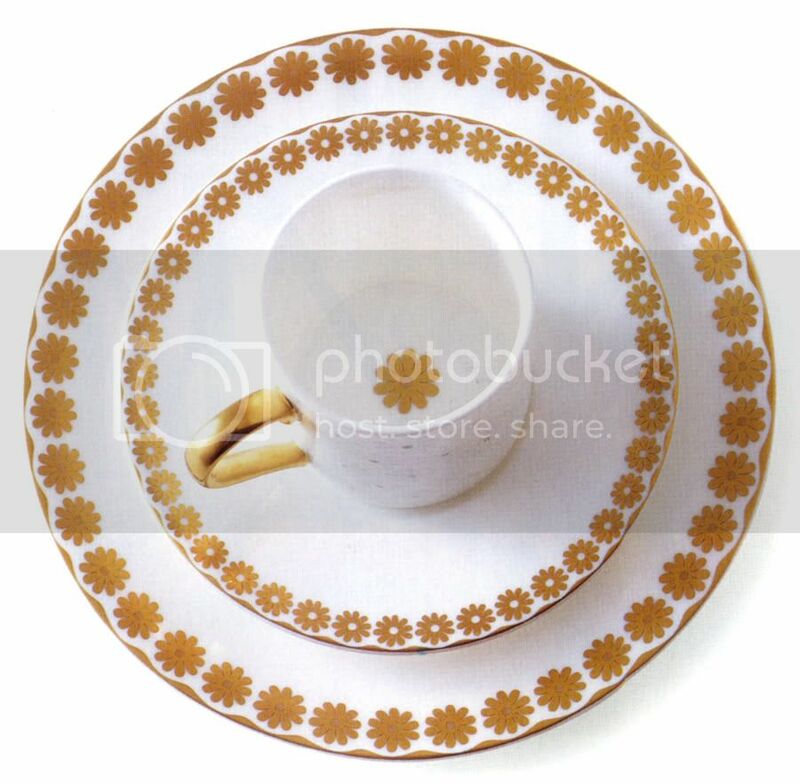 Herend's Golden Edge is timeless and you can "mix and match" it perfectly with Daisy Blanc! From traditional to modern by only adding dessert plates! I wonder what it's like to be a model like the ones walking there?